The Young Fables announced a Gretsch Guitar endorsement for Wesley Lunsford. The partnership lands Lunsford in the company of hollow-body-six-string greats such as Bono, Chet Atkins, Bo Diddley, and ZZ Tops’ Billy Gibbons. “Every since I was a kid I would watch guys like Reverend Horton Heat and Chet Atkins play from behind their big body Gretsch guitars and thought to myself, I wanna do that one day,” says Lunsford of Real Country fame. Wesley Lunsford plays a Gretsch 6120 and a White Falcon, but we have a sneaky suspicion you may see him picking something new in the years to come. The Young Fables will kick off the final night of Delta Rae’s historic 16 week residency at The Basement (OG) in Nashville, TN. The series was marketed as “The Revival”, featuring classic infused performances and combining theatrical production with live music. Critics are buzzing all over Music City and the addition of The Young Fables, will surely elevate an already highly anticipated finale. 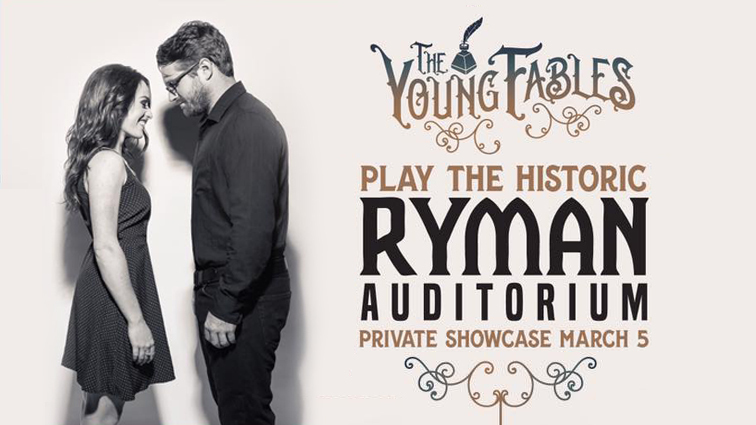 The Young Fables have been asked to perform a private showcase at one of the world's most significant music heritage sites, Nashville's historic Ryman Auditorium. 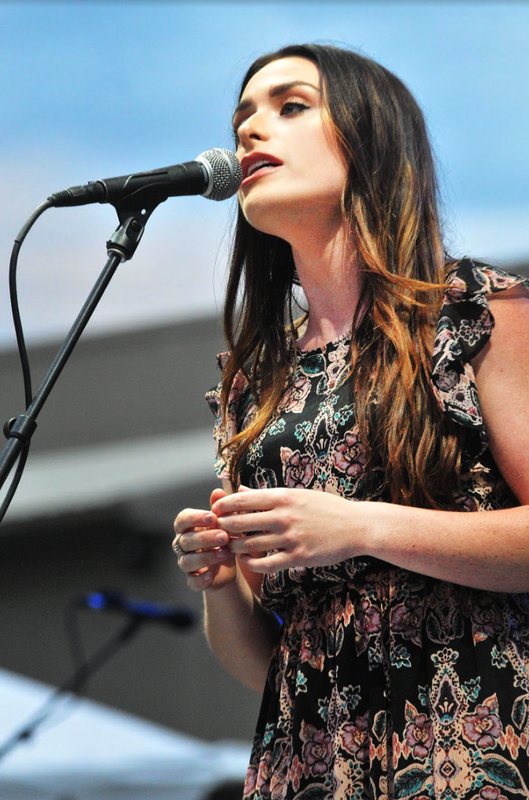 The show will mark singer Laurel Wright's second trip to the big stage. The popular vocalist received the opportunity to play at The Ryman when she was just 16 years old, a perk that arrived courtesy of winning the Texaco Country Showdown. The competition is America's largest country music talent showcase. The Young Fables have chosen The City Winery in Nashville, TN to introduce their latest album "OLD SONGS". The release will be presented by Nashville Unsigned and hosted by Chuck Wicks of America's Morning Show with Ty, Chuck and Kelly. 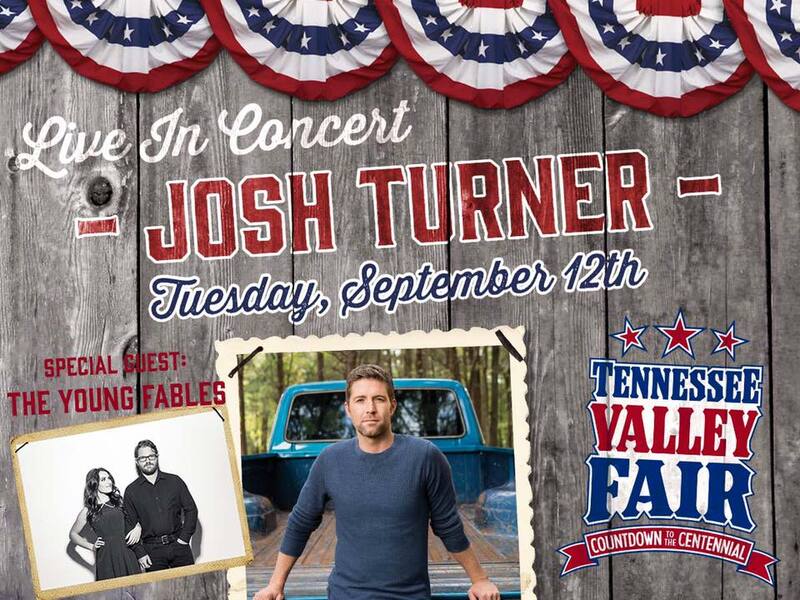 The Young Fables delivered a special performance to onlookers attending the TN STATE FAIR as they supported low voiced country legend Josh Turner. The Young Fables are proud to announce that "OLD SONGS" will be mastered by Pete Lyman. His discography includes Chris Stapleton, Jason Isbell, Sturgill Simpson, Zac Brown Band, and Lake Street Dive among others. The album was recorded by Grammy Award winning producer Mitch Dane. The Young Fables are recording a new album entitled "Old Songs" with Grammy Award winning producer Mitch Dane. Click on the video above to watch the KICKSTARTER video or click DONATE below to join the journey. The Young Fables have joined forces with the world's leading cosmetic company MAC. Laurel Wright is a long time fan of the makeup giant and the premiere products they promote. M·A·C is the world’s leading professional makeup authority because of our unrivalled expertise in makeup ARTISTRY. They celebrate diversity and INDIVIDUALITY – they are for All Ages, All Races, All Sexes. M·A·C is a proud COMMUNITY of professional makeup artists working together to bring their vision to life. The makeup giant is at the forefront of fashion TRENDSETTING, collaborating with leading talents from fashion, art and popular culture. Our Artists create trends backstage at fashion weeks around the world. M·A·C believes in SOCIAL RESPONSIBILITY, with initiatives such as VIVA GLAM and the M·A·C AIDS Fund at the heart and soul of their unique culture. We were lucky enough to help Project 615 kick off their BUS SESSIONS series! We had a blast performing in a hollowed out studio VW !